One of Mexico’s largest and most colorful festivals, La Guelaguetza in Oaxaca, is coming up quickly, so it’s time to start making preparations now! This year the Guelaguetza will take place on July 17 and July 24. Guelaguetza, meaning “offering” and “mutual exchange of gifts and services” in the ancient Zapotec language, is a festival that gives thanks to the gods of corn and celebrates the acts of giving and sharing. The state’s many indigenous peoples and cultures, which have been numbered at 16 different groups, are a draw for tourists who want to learn about the cultural customs of the area. 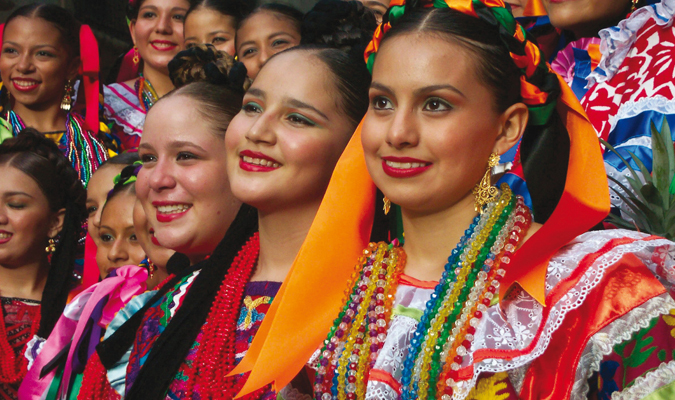 The festival of La Guelaguetza dates back to 1932 and is now celebrated folklorickly through traditional music, dancing, and events which attracts thousands of visitors from around the world each year. If you are a fan of cultural travel, traditional music and dance, the sights and sounds of la Guelaguetza cannot be missed. Contact one of our expert planners for more information, VIP access to special events, and hotel availability.